We offer free delivery of all major brands of cat litters to the Bath area please contact us for more details or to place an order. Minumum 2 litters per order. 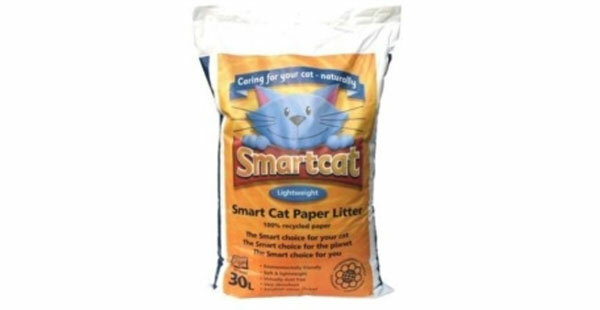 Smart Cat litter is unique, being the only litter made using wood flour. As the name implies, wood flour is a fine powder, much like the flour used for baking. Wood flour is made by taking dry sawdust from sawmills and grinding and sifting it into varying degrees of fine particles. The use of wood flour in Smart Cat gives a greater surface to volume ratio, which in combination with the low moisture level, leads to outstanding absorption properties. From this, excellent odour protection is achieved. 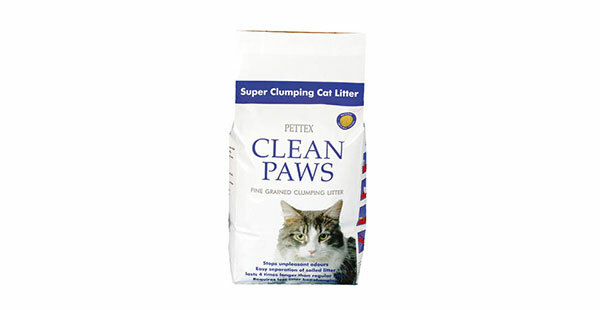 Pettex Clean Paws Super Clumping Cat Litter is a premium microgranule cat litter with superior clumping abilities. Clean Paws comes from the world's only natural source of Sodium Bentonite. As well as being more economical to use due to easier waste separation, it is also environmentally friendly. The fine granules are also harder for your cat to track out of the tray, keeping your home tidy and hygienic. A dust-free litter, Clean Paws is also suitable for cats with dust allergies. It will also control odours effectively and last up to 4 times longer than regular litters. 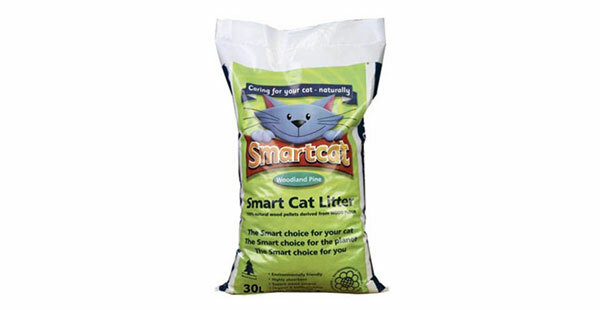 Smart Cat Paper Litter granules are made from 100% recycled newspaper, manufactured in the UK. It is specially granulated to make it ultra absorbent, having the ability to quickly soak up over 3 times its own weight in moisture, thus offering excellent odour control. It is completely biodegradable and poses no toxic threat to the environment. It can be disposed of either in landfill, where it will quickly decompose, or by incineration to create energy. Highly absorbent heavyweight cat litter made from pure grey fullers earth clay with natural odour control. Pettex doesn't use any chemical additives or scents to disguise unpleasant smells because the clay reacts with, and neutralises ammonia. Each granule is highly absorbent and can hold moisture up to 125% its own weight. They instantly lock liquids away and preventing them from soaking the whole tray. When wet the clay forms solid clumps which can be removed easily with a scoop, leaving only the clean litter in the tray - saving you time on maintenance, and money on fresh litter. A totally recycled cellulose litter with a vegetable based flea deterrent. 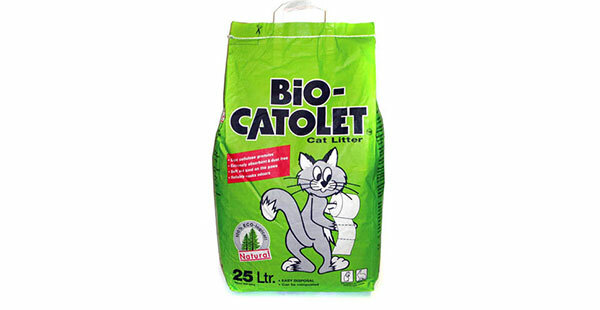 Bio-Catolet is an established cat litter that can absorb 250% of its own weight. What's more, it's 60% lighter than clay litters and still lighter than wood-based litters. Once moisture is absorbed into the pellets odours are trapped inside, while the light pine fragrance masks any residual smells. The paper is softer and kinder to paws than other litter options, and won' track into your home. One 25 litre bag can last a cat over 3 weeks, giving you great value for money. 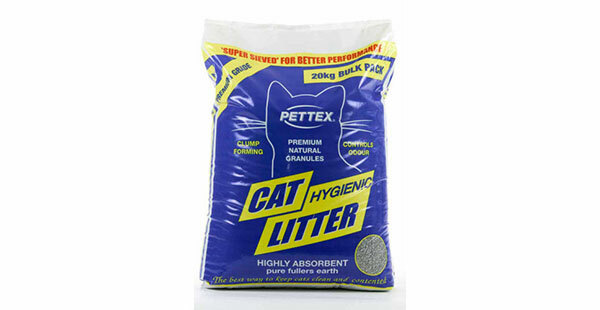 Catsan Hygiene's natural chalk and quartz grains give this quality litter a hygienically clean colour and let you rest assured about the absence of all dangerous fibres and other unsuitable substances. 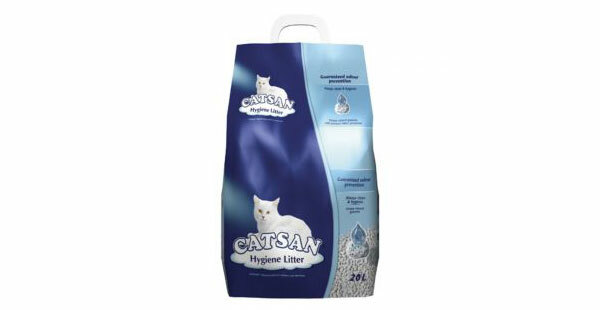 Catsan Hygiene Litter soaks fluid rapidly, has long lasting odour protection and inhibits bacteria formation.